As PhD students, there is no doubt that the majority of our time is spent on research. After all, that’s the main task we are being paid for. Many of us even sacrifice evenings and weekends for our PhD project, either out of our own interest or due to time pressure. While we focus on acquiring hard (technical) skills and knowledge from doing our research, we should not forget that its’s often soft skills, such as perseverance and sociability, that determine life success. Similarly, a study in UK reported that knowledge directly related to PhD research subjects is not valued as much in industrial world as in academia. What both sectors value, though, are general analytical skills and problem-solving capability. Of course, these soft skills can also be developed while conducting research. Nonetheless, that is still considered our little comfort bubble with little diversity. Working together with non-colleagues can bring us to a completely different world. This series brings together seven PhDs who have explored this different world. Find their stories below! 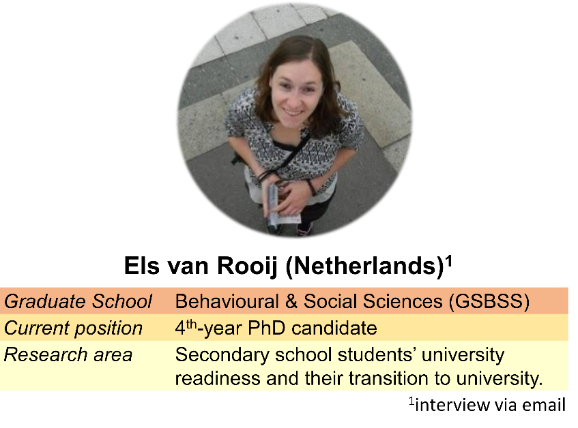 Isadora Lopes Alves, who recently graduated, has managed to do a lot of extra-curricular activities despite her short PhD. “When I was in Japan, I wanted to visit different disaster areas but did not have funding. While some of us face a challenge in searching for our passion, Anna’s challenge seems to be the opposite – she has passion on so many different things. “Some people may think I have to sacrifice my weekend, but I think I will enjoy my weekend. While many of us think volunteering to do other activities means losing time for our research project, Zsofia thinks differently. While hard skills are specific to our research field, soft skills can always be applied anywhere. 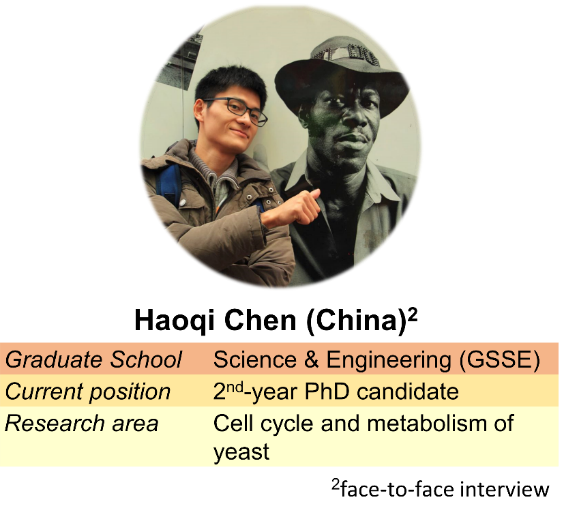 Haoqi could be a wonderful example of PhD students who place great important on their research and their future as scientists, yet did not neglect non-scientific skills and perspectives that could be acquired only outside working hours. and all these skills improve each other. To my impression, Heleen is clear in what she wants, very determined, and resilient. I believe these characteristics will help leading her to a successful and fulfilling life. “All these activities served as a distraction from my PhD work. Els has shown us that sometimes distracting ourselves by joining other non-work-related activities can bring even better benefits.